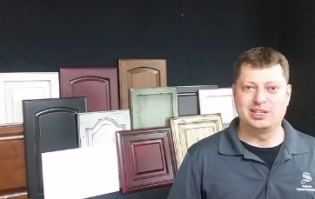 REFINISH YOUR EXISTING KITCHEN CABINETS LIKE NEW AND SAVE MONEY! People spend a lot of unnecessary money putting in a new and refaced cabinetry when there is a lot that could be done with their existing kitchen. You can turn your plain and boring cabinetry into a beautiful kitchen with one simple phone call. Even if you don't like your doors, call us! We are able to replace those and refinish the whole kitchen at half the cost of any typical refacing company. Give us a call today to schedule your free estimate and take the first step towards your dream kitchen. Is your kitchen worn and dated? 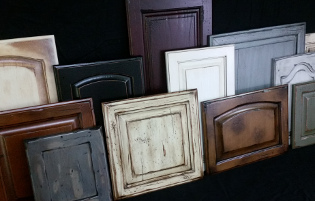 Are your kitchen cabinets desperately in need of a facelift? 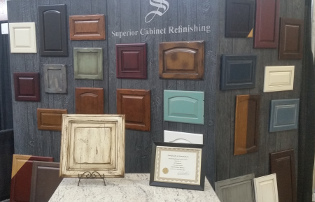 Refinish your existing oak or maple cabinets to a stunning espresso, cherry or mahogany color. Has your wood faded and lost its luster ~ or ~ Are you tired of looking at the Same Old Kitchen?